December is the time of year when many of us admit to feeling stressed about the holidays, family commitments and time constraints. This short-term stress is generally not a threat to our long-term health, although we may be affected by some sleepless nights, digestive upset resulting from overindulgence, and what may seem like never ending fatigue. 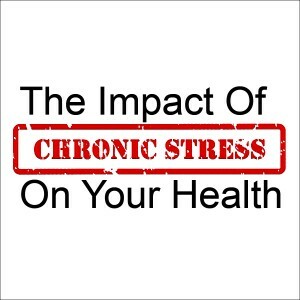 However, it’s the unremitting chronic stress, especially in older or less healthy individuals, that can damage long term health and make us more vulnerable to developing chronic diseases. Some stress is unavoidable and triggered by stressors that come at us in many forms. There are biological stressors, environmental stressors, cognitive stressors, situational stressors, and lifestyle stressors. Our reactions to these stressors and how they affect us is what matters to our health and longevity. A national poll conducted by the Robert Wood Johnson Foundation and the Harvard School of Public Heath showed that one in four Americans say they are under a great deal of stress and half reported experiencing a major stressful event during the past year. The poll showed that although most of us deal with stress daily, those in poor health reported the highest levels of stress. Adults living with a disability or a chronic illness reported that managing their disease was a major cause of their distress. There’s no question that managing stress can be overwhelming. More than half of those reporting high levels of stress say spending time with family and friends provided the most relief. However, failure to address chronic stress can be very costly, affecting not only health, but the health of family and social relationships and financial wellbeing. Many may not realize that health and longevity is dependent upon maintaining a constant state of homeostasis. Homeostasis can be defined as any number of biological processes the body uses to maintain the complex equilibrium necessary for survival, such as body temperature and blood levels of oxygen, water, protein, fat, salt and sugar. As well, the body must maintain relatively stable homeostasis while under the adverse effects stressors. By definition, a stressor can be a chemical, biological, environmental or external stimulus or any event that triggers the stress response. Acute stress is a survival mechanism, known as the “fight or flight” response that forces us to adapt to rapidly changing conditions. When under acute stress, the body quickly leaves the state of homeostasis in response to injury, fear or a dangerous situation. A healthy body returns to homeostasis when the risk is no longer present. Traumatic stress occurs in response to a traumatic life threatening experience or helplessly witnessing an event as it happens. This type of stress can lead to post-traumatic stress disorder that is often seen in veterans returning from war zones, survivors of assault, or those who have lost their homes due to a fire or severe weather conditions. Chronic stress is the result of the body’s inability to return to homeostasis. Though we may survive when homeostasis is under constant threat, we don’t necessarily thrive. Prolonged stress can keep adrenal hormones chronically elevated, causing the adrenals to struggle and ultimately paving the way for adrenal fatigue. Low adrenal function is often the result of prolonged stress, bringing about a sense of exhaustion and poor organ and bodily functions. When homeostasis is not maintained, it can negatively affect, not only energy levels, but carbohydrate, protein and fat metabolism, and fluid and electrolyte balance, as well as the proper function of the heart and cardiovascular system. As a rule, the better your overall health, the easier it is to handle stress. Take the time to care for yourself during the holidays and year-round by getting proper amounts of sleep, eating a nutritious diet and exercising, which all support overall good health and wellbeing. Supplements specifically formulated to target the imbalances brought about by chronic stress can support homeostasis, aid adrenal function and provide the reliable support necessary for the maintenance of proper function and optimal health and vitality. ADHS® by Biotics Research – This non-glandular adaptogenic herbal formulation is designed to support the adrenals and provide support for bodily functions when under stress. The formula contains vitamins, minerals and a proprietary herbal blend to aid the body in supporting homeostasis. Gluten free, vegetarian formulation. Cortico-B5B6® by Metagenics® – This formula provides significant amounts of water-soluble B vitamins necessary for healthy adrenal hormone production and energy metabolism. A full-spectrum citrus bioflavonoid blend along with vitamin C provides potent antioxidant support. Gluten free, Non-GMO vegetarian formulation. Adaptogen, Q. by Quantum Nutrition Labs – This dynamic formulation provides quantum-state nutraceutical blends that support the entire adaptogenic process, including whole body stress support. Gluten and lactose free, vegan formulation. HPA Adapt by Integrative Therapeutics – This non-stimulant formula provides five powerful adaptogenic herbs to aid the body’s response to mental and physical stressors. HPA Adapt helps to reduce stress and fatigue, as well as improve mood, calm anxiety and provide support for cognitive function. Gluten, soy and dairy free, vegetarian formulation. Posted on October 2, 2015 | Comments Off on Now Where Did I Put My Keys? Forgetfulness happens to all of us. We walk into a room and can’t remember what we were looking for, or we’re late getting out the door in the morning and have no idea where we put the car keys. We forget names, where we left our glasses, an appointment, an item at the grocery store or some of the seemingly millions of other little details we are tasked to remember every day. As we age, these incidents may occur more frequently and most of the time are simply a part of normal aging and not a cause for concern. It can be frustrating, worrying or annoying, but small memory lapses or forgetfulness do not necessarily indicate more serious cognitive impairment. The majority of the time, when we stop to think for just a moment longer, we find what we were looking for, remember the name of the person we recently met or realize that, yes, we did turn off the coffee pot or lock the door before we left the house. Increasing memory loss or memory lapses that interfere with normal life are indeed a cause for concern and a good reason to check in with your doctor. However, worrying and fretting about occasional memory slips can actually make matters worse. Stress, anxiety, depression and sleep deprivation are the major causes of forgetfulness in aging brains. Distraction, inattentiveness, fatigue, medications and trying to juggle our overly busy lives can also affect how well we remember. The ability to immediately recall names or faces may actually begin to slow years before we notice, as the ability to recall information ebbs and flows over a lifespan. And while reaction times and certain memory abilities may slow with age, other skills such as increased vocabulary, the ability to use both sides of our brains simultaneously and a heightened ability to reconcile our thoughts with our feelings may not peak until our mid-sixties. Chronic stress – While some stress is unavoidable, chronic stress can cause damage to both bodily and brain functions. Constant exposure to the stress hormone cortisol can cause our brain to lose synapses and can reduce neurotransmitter receptors. Basically, overexposure to cortisol temporarily interferes with normal brain cell communication, making it more difficult to learn new concepts and retrieve information. Sleep deprivation – While we sleep, our brains are busy sorting and storing memories. Those with impaired sleep and sleep disorders can experience symptoms of impaired memory and concentration, reduced reaction time, anxiety and fatigue. Thyroid dysfunction – The thyroid is critical to many metabolic functions, including energy metabolism. An underactive thyroid, not uncommon in older adults, can cause difficulty with memory and attention span and leave you unable to think clearly. Although not generally considered to be the root cause of memory lapses, if you are experiencing cognitive problems along with sensitivity to cold, fatigue or depression and these symptoms persist, a simple blood test can confirm if the thyroid hormone level is inadequate for normal function. Anxiety and depression – There’s strong evidence indicating mood disorders can disrupt our brain’s neural circuitry involved in storing and retrieving memories. Severe depression may also bring about equally severe memory loss. Often times, when depression lifts, memory loss improves along with mood. Menopausal symptoms – Women who experience hot flashes know that feeling of “brain fog,” which actually may worsen the ability to remember names and experiences. Although the symptoms are temporary, other menopausal symptoms, such as sleep disturbances, can also contribute to memory issues. Certain medications – Some commonly prescribed medications, including antidepressants, anxiety meds, painkillers and sleep aids, can cause forgetfulness or confusion by interfering with the brain processes that move short-term memories to long-term storage. Vitamin B12 deficiency – Commonly found in older adults, an unrecognized vitamin B12 deficiency can not only negatively affect memory, it can cause severe neurological problems. Fortunately, a severe deficiency can be corrected with weekly vitamin B12 injections or daily high dose vitamin B12 supplements. A mild deficiency can be corrected with a daily high quality B complex or multivitamin. As we age, it can become more difficult to maintain a high level of concentration when attempting to multitask, leading us to believe we are having memory problems when we simply need to divide our tasks into more manageable portions. This doesn’t mean that we should just accept or ignore any memory impairment. Fortunately, our brains are malleable and we can boost our brain power with simple but powerful interventions. Begin by getting better sleep, cleaning up your diet and getting some all important daily exercise. Everything that is good for heart and overall health is also good for boosting brain health. To help maintain a mental edge, give your brain a daily workout by consciously acquiring new skills and challenging your brain to learn something new. 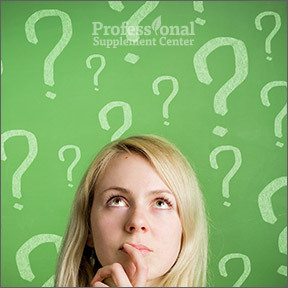 Remember, unless memory lapses become extreme or persistent, forgetfulness is within the scope of normal aging. Abnormal forgetfulness is more complex than just failing to remember. Loss of abilities, deteriorating functions and negative changes in behavior patterns all indicate a need to seek a medical diagnosis. Generally speaking, if you are aware of your memory lapses and those close to you are not worried, it’s likely annoying but not necessarily an indication of a more serious condition. However, if family members are concerned or the forgetfulness is interfering with normal everyday tasks or your ability to care for yourself and is happening whether you are stressed or not, sleeping well or poorly, it may be a sign of early cognitive impairment that should be addressed sooner rather than later. Phosphatidylcholine 420 mg by Designs for Health® – An integral component of every bodily cell, extensively researched Phosphatidylcholine supports mental energy and plays an important role as a precursor to acetylcholine, a neurotransmitter essential to learning and memory. Additionally, Phosphatidylcholine helps maintain cell structure and supports fat metabolism, nerve signaling and liver health. Gluten and dairy free. Contains soy. Alpha-GPC by Pure Encapsulations – This product provides a source of choline, a precursor for synthesis of the neurotransmitters acetylcholine and phosphatidylcholine. Alpha-GPC supports memory and cognitive and neurological function. Non-GMO formula. Contains soy. Memoractiv by Thorne Research – This comprehensive memory-enhancing formula provides a synergistic blend of widely researched nutrients and botanicals in support of cognitive function and enhanced memory, learning and focus. Gluten and dairy free, Non-GMO vegetarian formula. Contains soy. ProDHA™ 1000 mg Strawberry by Nordic Naturals – This high potency, omega-3 formula is suitable for children, teenagers and pregnant women. DHA is an essential nutrient for brain health and supports healthy mood and neurological and cognitive functions. ProDHA™ is third party tested for heavy metals, has a natural strawberry flavor and is naturally preserved with rosemary extract. Gluten free, Non-GMO. Comments Off on Now Where Did I Put My Keys? Many of us have difficult days where we are pulled in too many directions, trying to balance our work, home, family and social lives. We have come to accept the fact that stress is a normal part of everyday living. Short term acute stressors, such as meeting deadlines, sitting in traffic, tending to an unhappy child, taking final exams or dealing with an unpredictable event, are all generally manageable situations. The body responds by instantly releasing stress hormones designed to help both the mind and body rise to meet whatever challenges you are facing in that particular moment. And that’s actually a good thing. Naturally occurring performance enhancing chemicals heighten our abilities in the short term. In response to acute stress, the hypothalamic-pituitary-adrenal (HPA) system is activated. Cortisol, adrenalin and neurotransmitters are released as heart rate increases, blood pressure rises, breathing becomes more rapid, and our primitive “fight or flight” response to threat is switched on. Once the threat has passed or the traffic eases or the baby stops crying, the body’s system returns to normal homeostasis. It’s the repeated exposure to prolonged and continuous stressors that results in the chronic over-release of stress hormones and the subsequent breakdown or deregulation of many bodily systems and degenerating health. The reality is that we live in stressful times. We worry about the economy, climate change, job performance, our health or whether our favorite team will win the World Cup. One-third of Americans feel they are under constant extreme stress that negatively impacts their lives. In reality, 43% of adults suffer from the adverse health effects of chronic stress, and 75% of doctor visits are for stress-related ailments. Chronic stress is linked to heart disease, hypertension, high blood sugar, diabetes and decreased immune response. If you are genetically predisposed to any of these chronic illnesses or you have unhealthy lifestyle habits, such as poor food choices, smoking or high alcohol consumption, chronic stress can accelerate the onset of disease. Some of us have become so used to dealing with chronic stress that it begins to feel “normal,” and we don’t realize what a huge impact it has on our physical and mental health. Finding ways to eliminate the stressors that we can control, and a way to deal with stressors that are out of our control, can go a long way towards improved mental health and physical wellbeing. For example, if commuter traffic is heavy every day, leaving home or work a bit earlier or later removes that one stressor from your life. When you’re not grumbling about the traffic, you can listen to soothing music, which is calming and immune supportive. As some of the more simple problems are solved, stress becomes less overwhelming, leaving us better able to deal with more complex difficulties. Stress affects everyone differently and there is no simple fix to solve all stress inducing experiences. Taking a broad based approach to dealing with stress involves coming up with different strategies for stress management, which can include reducing pressures or increasing coping skills or a combination of the two. Be physically active. You don’t need to run marathons to get the stress-reducing benefits of exercise. Exercise not only keeps our cardiovascular systems healthy, it helps to deplete stress hormones and releases mood enhancing endorphins, which modulate appetite, enhance the immune response and help us cope with stress. Keep your motivation levels high by selecting any form of physical activity that you enjoy. Get a good night’s sleep. Sleep is a powerful antidote to stress. When you are sleeping, the body’s stress hormones return to normal levels. Plus a good night’s sleep gives you the energy to deal with the stressors you may encounter the following day. Engage in a hobby. It can be anything you love doing that allows you to disengage from your thoughts of to-do lists and other stressors. Repetitive activity keeps your attention focused in the present. Read, create, paint, build something, learn to cook or knit. Spend time in nature. Being outdoors is a natural stress reducer. Take the dog for a walk, go hiking, biking or fishing. Create a flower or vegetable garden or sit and enjoy the warm sunshine. Be social. Stay connected to loved ones, friends and those around you. Socializing releases oxytocin, a body chemical that helps combat stress hormones and lower blood pressure. Whenever possible, avoid stressful people or situations. Give yourself 10 minutes of peace and quiet every day. Sitting quietly can trigger natural relaxation responses. Try yoga or meditation or take a warm, relaxing bath. Turn off electronics and dedicate this time just for yourself. Revise your calendar to the extent possible. Finish current obligations and then cut back on some things if you are overscheduled. Learn to say no to taking on new tasks if fitting them into your schedule is going to cause additional stress. Find time for fun. A good laugh can help reduce stress hormone levels and help relieve built up pressures. Laughter triggers the release of endorphins, which promote a general sense of wellbeing. If life is all work and no play, make changes that support your physical and emotional good health. Stress-B-Plus (7452) by Douglas Laboratories provides a complete array of B vitamins and related nutrients for support of blood cells, hormones, energy production, the biosynthesis of neurotransmitters, and nervous system function. GABA 750 mg by PhysioLogics provides an amino acid naturally produced in the central nervous system that has an inhibitory effect, calming overexcited nerve impulses, aiding relaxation and reducing anxiety. GABA promotes natural sleep and balanced mood. MyoCalm by Metagenics supplies a specialized blend of calcium, magnesium and herbs for relaxation support and support of healthy muscle function. De-Stress by Biotics Research supplies a patented, all natural, clinically effective bio-active peptide derived from milk and formulated for natural stress and anxiety relief.